This is Part 2 in a 3-part series dissecting the 2016 Citi Research Safety Spotlight Report. The focus of this week’s post is to dissect the motivation to move away from using lost time injury (LTI) data as a measure of a business’ health and safety performance and introduce a new framework for reporting injuries and illnesses that will assist the business in its pursuit to prevent harm and provide a comparable measure of health & safety performance across businesses and industry. Moving away from using lost time injury (LTI) data as a measure of a business’ health and safety performance and introducing a new framework for reporting injuries and illnesses (injury classifications) that will assist the business in its pursuit to prevent harm and provide a comparable measure of health & safety performance across businesses and industry. There has been a great deal of effort by health and safety professionals and industry bodies over the last few years to move away from using LTI data as a measure of how successful a business has been in terms of managing health and safety, or preventing harm. This was also at the forefront of the 2016 Citi Research Safety Spotlight: ASX100 Companies & More (the 2016 report), a report on injury and fatality data for Australia’s ASX100 companies, plus a few extra companies that are no longer in the top 100, but because Citi Research has data from their previous year’s reporting, they include them in the list of companies. The argument is that the presence of LTIs confirm hazards were present and risks uncontrolled. However, an absence of LTIs or a reduction in LTIs does not necessarily mean risks are now controlled, or that the management of health and safety is improving. Neither can LTIs inform about the human nor financial consequences arising from poor management of health and safety. Understanding injury performance, therefore, requires far greater and more robust attention to injury frequency and severity than LTI data is able to provide. WHY SHOULD BUSINESS LEADERS READ THIS POST? Of particular focus for this post is a proposed approach to standardising the reporting of significant injuries and illnesses and potential injuries and illnesses, as published by Safe Work Australia. Standardisation will assist in the comparison of injury and illness statistics across business and industry and as stated in the 2016 report, it will help investors better appraise some significant aspect of companies’ safety performance. Moreover, if businesses were to move away from aggregated injury data and better monitor injuries in line with the damage, or potential damage, that may be caused to the individual, business leaders would be in a better position to drive attention and resources to addressing the most critical risks and target their safety programs where it matters. None of the companies reported on health metrics. Note: the metrics in the 2016 report are what the businesses report publicly through their annual report; it does include what may be reported internally. Often the first step in efforts to understand a company’s health and safety performance is to identify whether injuries are occurring in an organisation and, if so, what impact they have. This involves counting the number of injuries that have occurred over a specific period of time, typically a month and/or year and classifying the injuries into subsets to provide useful insights about the frequency of different types of injury and illness outcomes. However, the use of numbers from LTI, medical treatment injury (MTI), and first aid injury (FAI) categories has become popular for examining injury/illness data because it separates out those events resulting in a lost capacity for work. 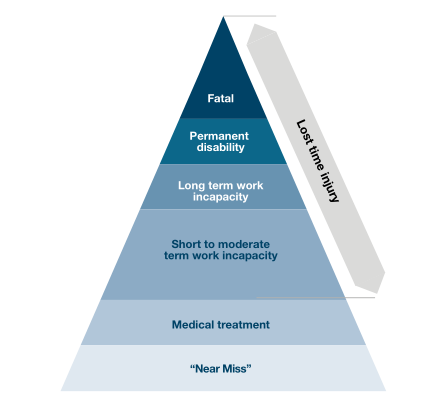 Nevertheless, LTIs still combine all injuries involving lost work time (see the triangle below), regardless of whether they resulted in fatality, permanent disability, long term incapacity or short-term incapacity. Notably, the majority of LTIs have relatively short-term consequences (identified as ‘high frequency, low consequence’ injuries and illnesses). “despite becoming a ‘cornerstone’ of WHS reporting, LTI data are a poor measure of safety because they (1) are incapable of measuring latent hazards that have yet to translate to injury, and (2) only capture a subset of injury outcomes and are therefore an incomplete measure of an injury”. This LTI problem was demonstrated in a study which examined a data set of >400,000 work-related injuries. Panel A reflected trends over a 10-year period when those injuries are classified as either LTIs or Fatalities. Panel B repeats the exercise, only this time reclassifying the same injuries as either permanently disabling or temporarily incapacitating. The results illustrated that a steadily decreasing trend in LTIs over time can hide a significant increase in the most damaging (and costly) group of non-fatal injury over the same period. A board receiving only Panel A would be likely to draw very different conclusions as to the success of past WHS efforts and the appropriate focus of future WHS attention than those receiving only Panel B in their board report. Indeed, if a board was only given Panel A, directors may well ponder why compensation and related costs are increasing significantly while injury rates continue to decline. As reported in the 2016 report, O’Neill’s research also showed that the biggest cost to employers comes from injuries that lead to long absence or partial incapacity, even though corporate reporting tends to focus on the number of more minor incidents (injury rate data) and fatalities. Because injury rates measure injury occurrences, not health and safety, statements such as “Our LTIFR shows we significantly improved health and safety at work” reflect a poor understanding of the valid conclusions to be drawn from health & safety data. LTIs … what are they good for? LTI KPIs are metrics that help understand lost productivity. They provide insight into the impact of poor health and safety on business productivity. However, they don’t address all factors influencing lost productivity (e.g. absenteeism, presenteeism, sick leave, etc. ), and therefore a DART rate (days away, restricted or transferred) may be more useful. and so can be misleading. LTIs measure the number of times a business was disrupted (for at least 1 day) due to an employee’s work-related injury. 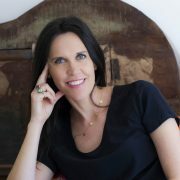 Note that although there is guidance on the timeframe for ‘lost-time’, this is ultimately determined by each business. number of full workdays lost to work-related injuries or illnesses. Reporting only an LTI indicator should leave management asking, “Yes, but what impact did these LTIs have on productive capacity? How long were workers absent?” Whereas, reporting only total lost workdays (LWDs) should leave management asking, “Yes, but did our lost workdays go down (up) because there were less (more) LTIs or because the LTIs that occurred were less (more) damaging?”. “So, are LTI, LTIFR and lost workday statistics useful KPIs? The short answer is … yes, but not for making decisions about how to manage health & safety”. Monitoring the profile of work-related injuries and illnesses is an important part of evaluating the success of an active injury prevention program or initiative. Businesses with an immature health & safety culture tend to view injury as the primary means of identifying health & safety risks rather than as a means of understanding hazard control effectiveness. Have any workers sustained injury or illness? If so, what was the degree of harm … were workers killed or will they be killed (e.g. black lung disease and mesothelioma will kill over time)? Permanently damaged? Temporarily incapacitated? Inconvenienced? If so, how many? How frequently? How do these results compare to past experience? (note: analysing ‘time’ is time to recovery from injury or illness, not a return to work measure). consequence of injury rather than the frequency of injury. This correlates better with the impact of injury on both injured worker and employee. Some incidents that did not cause injury or illness, but would be considered incidents with a high potential for severe consequences, can be used to inform safety programs. The triangle on the right uses the same classification of actual injuries and illnesses from the triangle on the left to define what would be considered a high potential incident or a near miss, and this information can then be used to target health & safety programs. 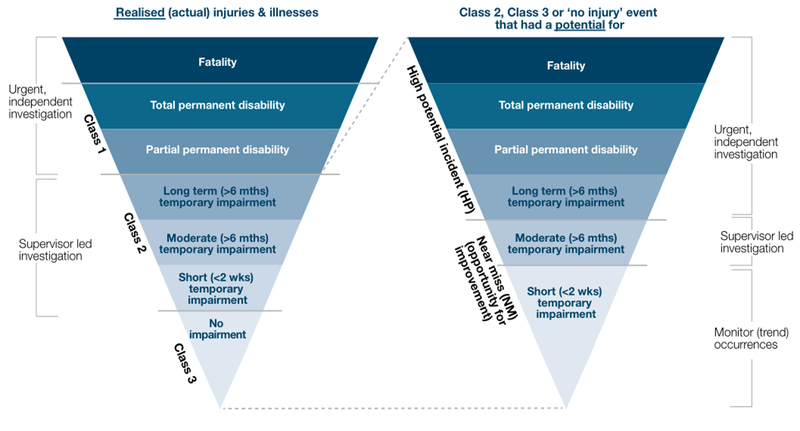 Given each catastrophic, major or moderate injury/illness not only reflects a failure to ensure health & safety, but also results in significant human, social and financial consequences, the need to direct attention to the prevent of Class 1 injury/illness is particularly critical. Please get in touch if you would like to discuss any of the above further.